Hailing from the streets of Tottenham, Joseph Junior Adenuga, an English grime MC who goes by the stage name SKEPTA, has won this year’s mercury prize for his Konnichiwa album. The first time I listened to SKEPTA’s music was in 2011. Driving in a car from the airport to a home in Dagenham, I heard Amnesia as his first grime song. I was hooked by his way and flow on the beat but also how I could vision his words. That same year, 3 of his singles charted in the top 40 of UK single charts. Doing it again stayed for 3 weeks on the top 100 albums. As time went by, SKEPTA got better at his craft and decided to be done with the road life and drugs to fully concentrate on his music. In early 2014, he released That’s not me featuring his brother JME which has won the MOBO awards 2014 for best video. SKEPTA, being the humble person he is, didn’t want to be a part of the mainstream and follow the dress code like everyone else. Thus, he came to the MOBOs in all black tracksuits with his whole crew BOY BETTER KNOW. This created an uproar towards the audience as it gave a bold look and saw it as violent and scary. He dressed bold and black because he wanted to show the world what Grime is – not only a couple of sick metaphors and catchy English slang, but showed that Grime was a part of who he is. Grime wasn’t a lifestyle, it is a way of life. People in the audience were shocked – for what reason? The reason I feel was that he came real. It wasn’t fake, it wasn’t for an act or image. He just truly came as himself whilst a lot of Grime artists follow and imitate American rap. SKEPTA, however, didn’t’ do this. He stuck to his roots coming from the streets. He showed the whole world that even though he is up there, he is still a part of something and from a place that people still stereotype. As part of LEVI’s Music Project, Levis and SKEPTA partnered together in creating a community youth music facility in his hometown of Tottenham, North London. The Levis music project has joined the V&A museum exhibition of “You say you want a revolution? Records and Rebels 1966-1970.” The project has educated participants in aspects of building a music career in the modern digital age – which is what I am currently into, studying music marketing and promotion in UCA. After the exhibition, SKEPTA and 12 young artists who have been working together have performed at the V&A as part of the “Revolution weekender”. 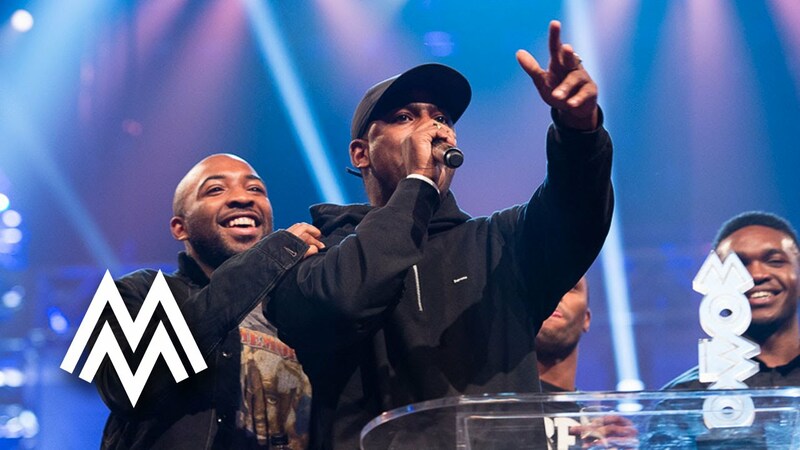 Check out SKEPTA and BOY BETTER KNOW perform at the Alexandra Palace, London on 2nd. December.